Hainan Airlines' flight HU749, which departed from Beijing, smoothly landed at Edinburgh Airport at 6:00 am on June 12, 2018. After a brief stop, it took off again and landed at Dublin Airport at 9:10 am local time on June 12. This was the first arrival of direct flight from mainland China at both Edinburgh and Dublin airports. The flight also marked the success of the maiden voyage of the carrier's route from Beijing to Edinburgh and Dublin, the first nonstop service between mainland China,Scotland and Ireland. 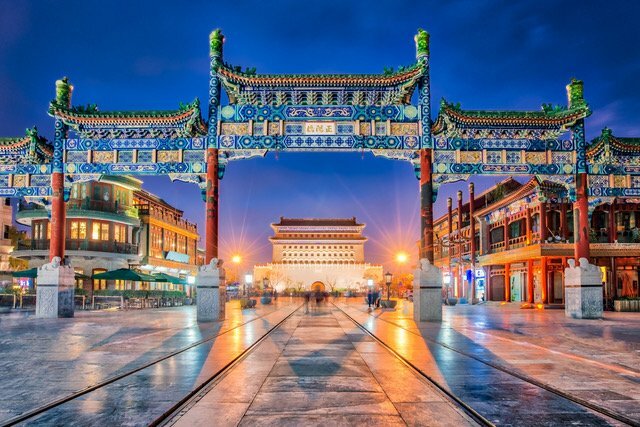 The launch includes two new routes: Beijing-Edinburgh-Dublin-Beijing and Beijing-Dublin-Edinburgh-Beijing services, providing passengers travelling among China, Britain and Ireland with more convenient travel options. Beijing Capital International Airport has established sister airport relationships with both Edinburgh and Dublin airports. The launch of the new routes was highly valued by all parties involved. On the same day the inaugural flight completed, Hainan Airlines held 3 ceremonIES in celebration of the maiden voyage in the three cities. Guests in attendance included Scottish Minister for Business, Innovation and Energy Paul Wheelhouse, Irish Ambassador to China Eoin O'Leary, Chinese Consul General in Edinburgh Pan Xinchun, Commercial Counsellor at the Chinese Embassy in Ireland Xue He, Hainan Airlines chairman Bao Qifa and vice president Wang Yufei. Hainan Airlines has also rolled out extensive combined transport offerings of the new routes with its overseas airline partners with the aim of meeting the diversified needs of passengers. Travellers will benefit from a convenient transfer, combined transport services and be provided with more destination options. 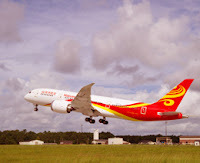 In addition, to offer passengers a better travel experience, Hainan Airlines will launch products including multiple round-trip ticket packages as well as pick-up and delivery shuttle services for business-class passengers.